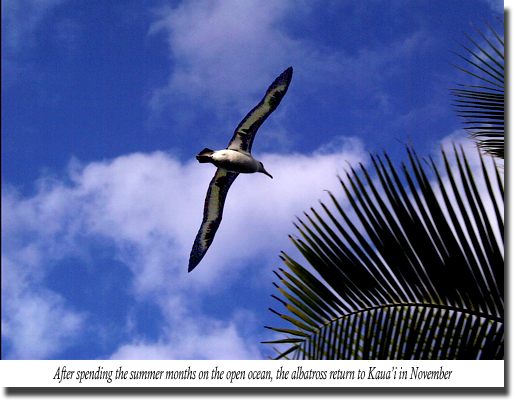 Author - Robert Waid: My book contains a collection of 45 photos of the majestic Laysan Albatross which return each year to Kauai to raise their young. 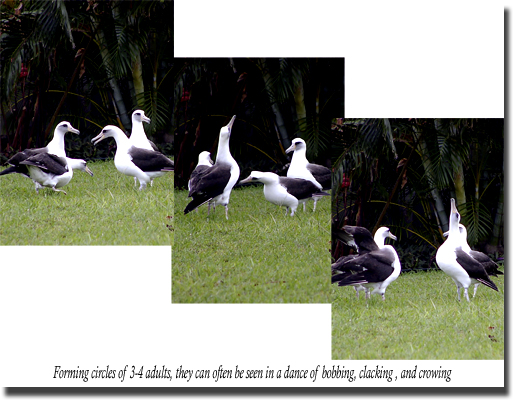 All of the photos were taken in the residential neighborhoods on the north shore of the Garden Island. I will be honored to sign and personalize your copies. 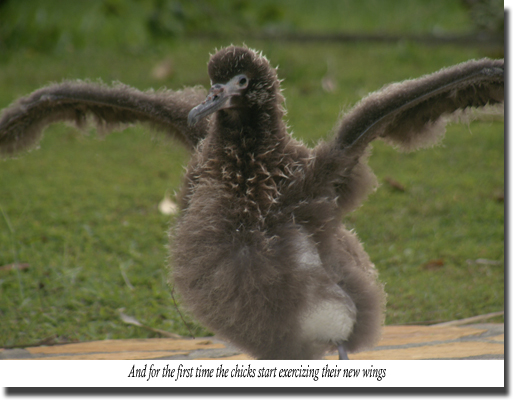 My goal for the book is to share photos of all stages of development of albatross while they are on land, from courting to the fledging of the chick. 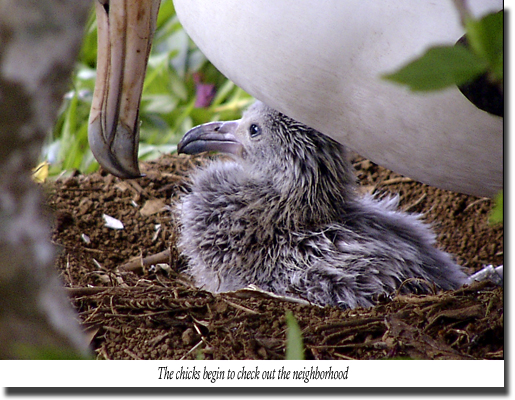 Many people see the albatross at one point in time, Visitors may see parents sitting on an egg or chicks testing their wing. Due to their short time here, they do not see all stages. The book fills in the gaps. 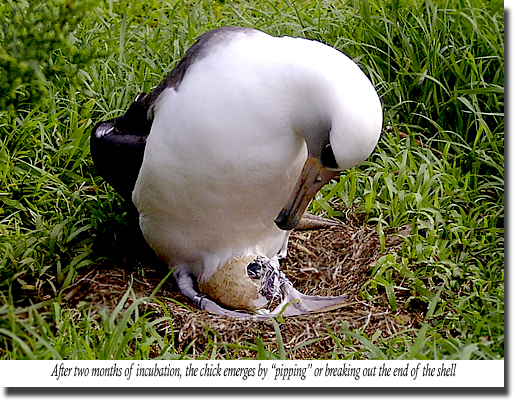 My personal profits and royalties from sales are donated 100% to seabird conservation programs. Please contact me by email to order copies of the book. Hardcover with dust jacket. The title is attractively embossed in a purple metallic finish. Page count: 51 with 45 photos (each photo is 5 x 7 inches). 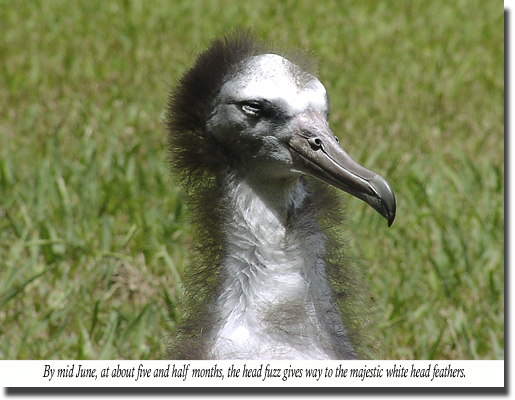 This is a slideshow of sample pages from the book.